Today, when you order "$5 in Penguin Cash", you'll instantly be emailed a Penguin Magic gift certificate. You can spend it on anything you like at Penguin, just like cash. Just complete your order as normal, and within seconds you'll get an email with your gift certificate. What a nice offer ! 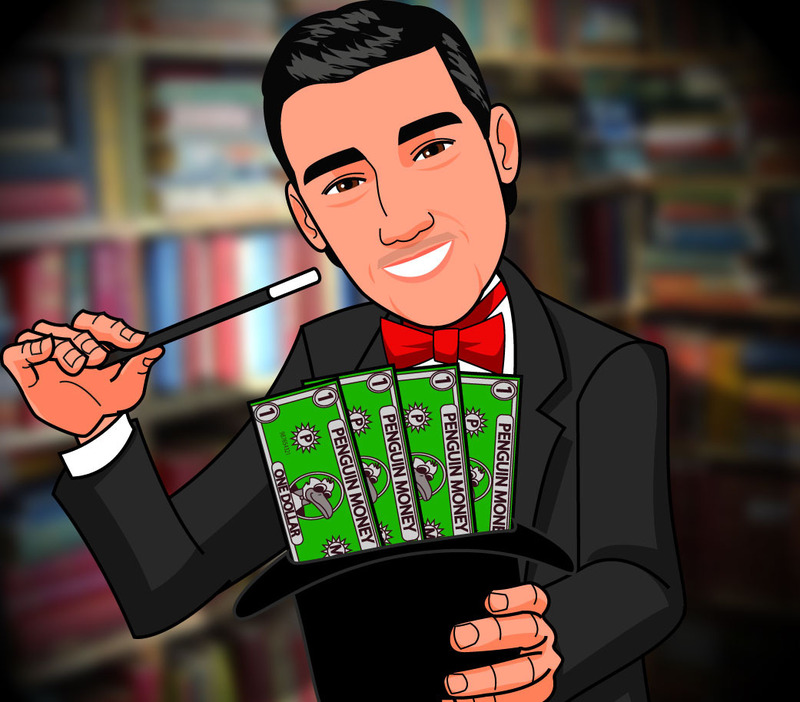 A lone advice : don't spend time to invest them in the so good Penguin magic ! Super easy to do....difficult to figure out...WOWS them every time! Card magic at it's best!